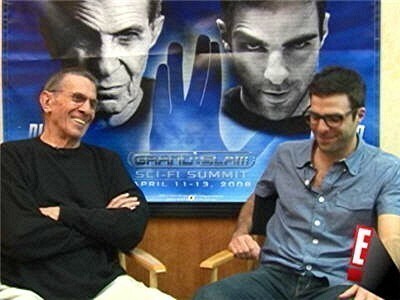 Zach and Leonard Nimoy. . Wallpaper and background images in the Zachary Quinto club tagged: zachary quinto zachary quinto zach 2009 cast star trek spock leonard nimoy. This Zachary Quinto photo might contain anime, banda desenhada, manga, desenhos animados, mangá, and quadrinhos.